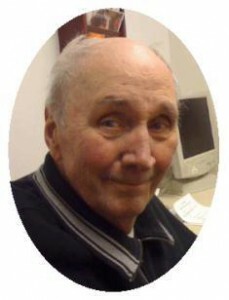 Harvey O. Utecht, 78, of S. County Highway W., Town of Saukville died Monday, February 25, 2008 at Columbia St. Mary’s Hospital Hospice, Columbia Campus in Milwaukee after a brief bout with cancer. He was born on September 10, 1929 in Port Washington, WI, son of Otto and Helen Lemke Utecht. He graduated from Grafton High School in 1948. On September 16, 1950 he married Arlene M. TeWinkle of the Town of Lima in Plymouth, WI. He was called to serve and entered the US Army during the Korean War. He served from March, 1951 to March, 1953 as a Private First Class. He remained in the Army Reserves until March 28, 1957. Upon returning after service he was a Ozaukee County Sheriffs Deputy from 1954 to 1967. Later he became a truck driver for the former Freeman Chemical Co. which later became Cook Composites and Polymers in Saukville. He retired after almost 25 years in 1991. He was a member of the Landt-Thiel American Legion Post 470 of Saukville, the Teamsters and proud of his charter member standing of the Peace Lutheran Church of Saukville, now the River of Life Lutheran Church. He enjoyed fishing and cherished being grandpa to such a great family. He is survived by his wife Arlene, 10 children Arlene (Dean) Himmelreich of Milwaukee, Jeanne Morrison of Saukville, Carl (Terrie) Utecht of Fredonia, Susan (John) Abram of Glendale, Paul (Jennifer), Robert and Fred (Dawn) Utecht, all of Belgium, Linda Utecht of Milwaukee, Daniel (Denise) Utecht of Kewauskum and Christopher (Erica) Utecht of Sturgeon Bay, 31 grandchildren, 3 great grandchildren, two sisters Carol Schwengel of Cedarburg and Betty Kraus of Grafton, nieces, nephews, other relatives and friends. Funeral services will be at 10:30AM Thursday, February 28, 2008 at River of Life Lutheran Church, 598 W. Hillcrest Road, Saukville. Interment will take place in St. Paul�s Cemetery, Grafton. Visitation will be from 4-7PM Wednesday, February 27th at the funeral home and after 9:30AM Thursday at church.Memorials to the church or Columbia St. Mary’s Hospice, Milwaukee are appreciated.